Originating as an acronym of Dubai National Air Travel Agency, dnata has been an integral link in the growth of Dubai International Airport. Offering best-in-class services in ground handling, cargo management, catering, and passenger services, dnata has emerged as a global name in the world of aviation. LNME meets Steve Allen, divisional senior vice president, UAE Airport Operations, a key partaker in the success story that is Dubai Airports. Allen oversees the ground handling and cargo operations at both Dubai International Airport (DXB), as well as Al Maktoum International Airport (DWC) in Dubai World Central. 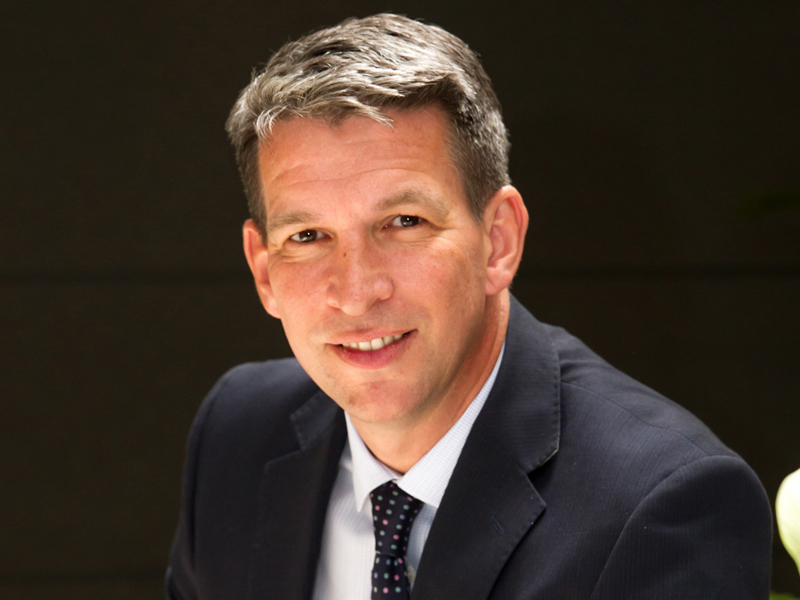 Allen comes with over 15 years of experience in British Airways and helped design Heathrow Airport’s Terminal 5, prior to joining dnata in 2008 as vice president operations, where he was instrumental in the birth of the One dnata Strategy. He then moved to lead the Performance Development department in 2011 as senior vice president and led a number of major programmes across the group, including the ongoing design for phase 2 of DWC. Allen is part of the Emirates Group Innovation board, and currently serves as a board member at two UAE-based companies. In the fiscal year ended 31 March 2018, dnata’s UAE airport operations recorded revenues of AED3.15bn, representing 4.3% growth year over year. The growth primarily relates to ground handling operations at DXB, with the introduction of several new services from the current year. Their teams handled over 211,000 aircraft movements, more than 89 million passengers, and in excess of 731,000 tonnes of cargo at DXB and DWC. 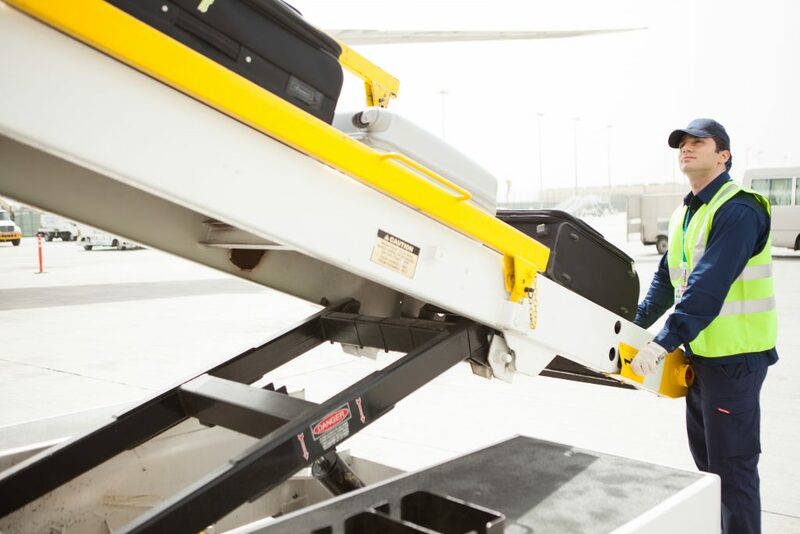 A recent report by Global Market Insights, Inc reveals that the aircraft ground handling system market is predicted to reach USD185bn by 2024, in keeping with the growing demand for quality solutions and products, due to technological advancements and changing consumer behaviour. Watch: “The long-term future is DWC,” says Steve. In recent years, dnata has made significant investments which expanded its capability and global presence. In 2017, dnata entered the US cargo market with its acquisition of AirLogistix USA. The investment includes state-of-the-art specialised perishable cargo handling facilities in Houston and Dallas Fort-Worth. dnata also expanded its cargo handling capabilities at Gatwick, opened an additional cargo warehouse in Schiphol, and a new airside cargo facility in Adelaide. In the US, it received a new license to provide ground handling services at John F. Kennedy International Airport’s (JFK) Terminal 4, in addition to the already existing licenses to operate at JFK’s Terminal 1, 7, and 8. 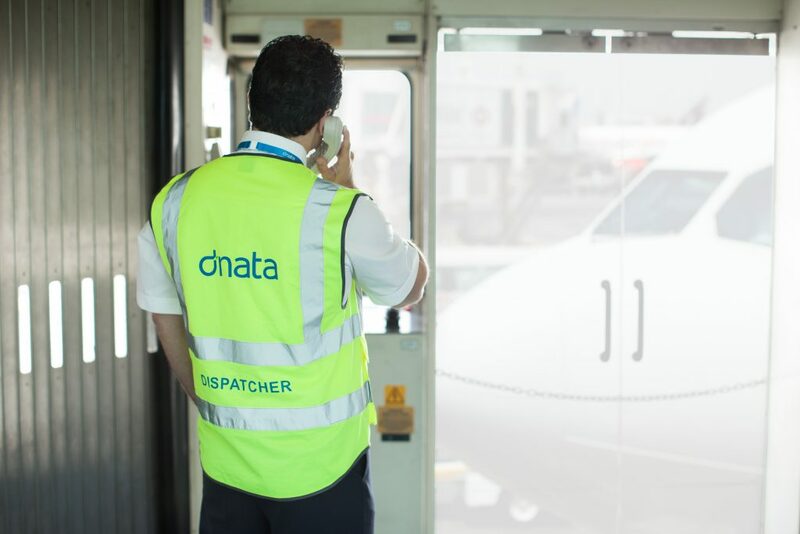 In Singapore, dnata began operations at Singapore Changi Airport’s new Terminal 4, and opened a new maintenance base for ground service equipment. Allen emphasises that the advanced baggage systems were initiated to keep up with DXB’s growing operations. Robotic systems were added to lift heavy bags, reducing pressure on workers. Plus, anti-collision technology was introduced to prevent ground equipment from colliding into aircrafts and each other. 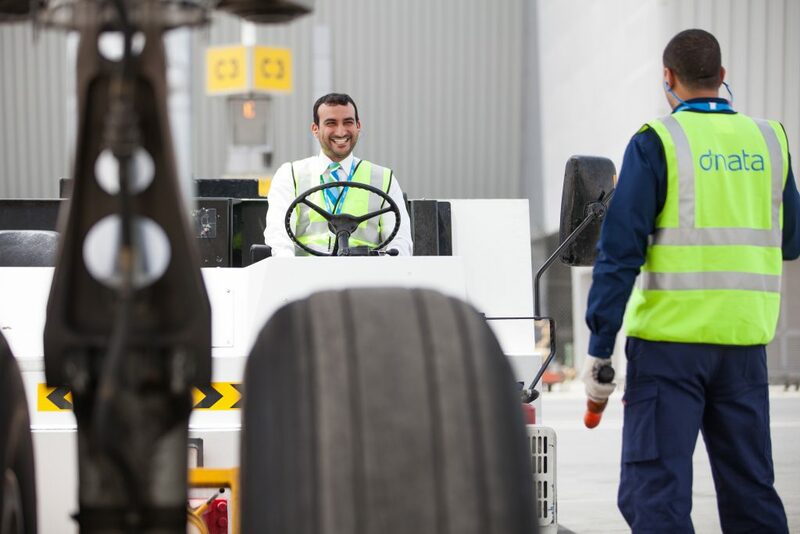 dnata has recently completed a host of key initiatives aimed at significantly improving the efficiency of its processes and infrastructure in ground handling and cargo management. The company opened a state-of-the-art customer service centre and cargo integrated control centre located in the Dubai Airport Free Zone, as well as another cargo warehouse, increasing their processing capacity by 25%. “In DWC, we began testing new equipment and processes at the passenger terminal, which has been undergoing significant expansion works to serve the future growth of travellers and flights. The learning from these tests is also being applied to enhance the efficiency of our operations at DXB.” dnata also partnered with flydubai to trial remote control electric vehicles used to service narrow-body aircraft. “We accelerated the recycling programme for our fleet of 12,000 units of ground services equipment (GSE) at DXB and DWC,” further highlights Allen. Instead of replacing the equipment at the end of their life cycle, dnata now performs a mechanical overhaul to put them back in service. Over 100 units of GSEs have been renewed to-date, reducing waste generated from this category of equipment by 250 tonnes, while passing all safety and quality checks and achieving savings in excess of AED14mn. Intelak is a travel, aviation, and tourism incubator, led by the Emirates Group in partnership with GE and Dubai Tourism to support the UAE’s aviation ambitions. It was through Intelak that dnata became familiar with DUBZ, a mobile technology service offering passengers the option of checking in their baggage from the luxury of their home or hotel. Allen voices that dnata believed DUBZ had successfully devised an application which struck a chord with their technology advancement plans. dnata acquired a majority stake in DUBZ in June 2018.
marhaba, international airlines, flydubai, flynas, and Saudia, as well as several hotels and malls have already added DUBZ services to their offering and there are ongoing discussions with other partners as well. Allen adds that the service has especially seen demand from GCC families, who travel in larger groups and with a substantial amount of luggage. Allen believes that autonomous is the way to go and highlights that it is one of the things topping the roster for dnata. “We’re working with some consultants from San Francisco, looking at how we could introduce autonomous within the airport, in terms of ground equipment, busses, anything airside. Autonomous is beneficial from all sides—be it environmentally, cost-effectively or even safety. He also mentions plans to introduce an app-based booking system for freight forwarders, cutting down their waiting times and improving overall efficiency. Allen speaks for the team and is positive that DWC is the answer to Dubai’s long-term expansion plans in the aviation sector. Starting out at DXB in 1991, marhaba has become a reputable and intrinsic part of dnata’s portfolio. From fast-track clearance through arrivals or departures to helping with transfers and baggage, marhaba ensures a swift, smooth, and safe passage through the two Dubai airports. This summer (June-August) 65,000 passengers were welcomed and assisted by the helpful marhaba agents in Dubai. Besides its popular meet and greet services, marhaba operates 12 departure lounges at seven airports in five countries, inviting travellers to enjoy its excellent international cuisine and relax or catch up with work in a peaceful environment. marhaba’s ever-growing network includes five departure lounges at Dubai International Airport, two at Singapore Changi Airport, and one each at Al Maktoum International Airport at Dubai World Central, Geneva Airport, Zurich Airport, Melbourne Airport, and Jinnah International Airport (Karachi). “marhaba has become an icon for everyone who lives in Dubai,” remarks Allen. “I remember when I first arrived here and wondered in awe about the ladies in stylish uniforms, greeting us at the airport, which was truly an epitome of Arabian hospitality.